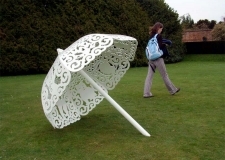 Part of Garden Journeys, a temporary, outdoor, group exhibition. 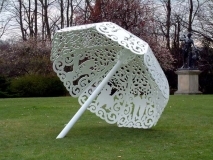 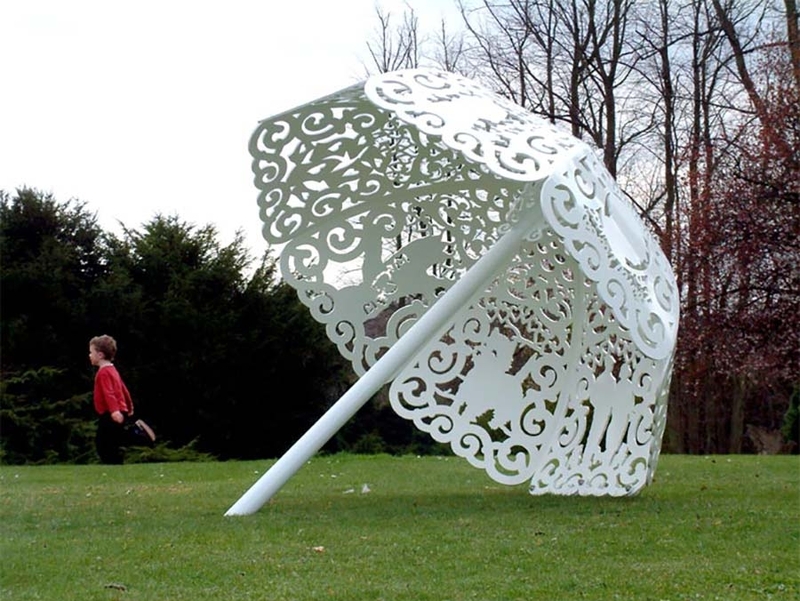 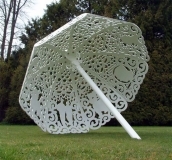 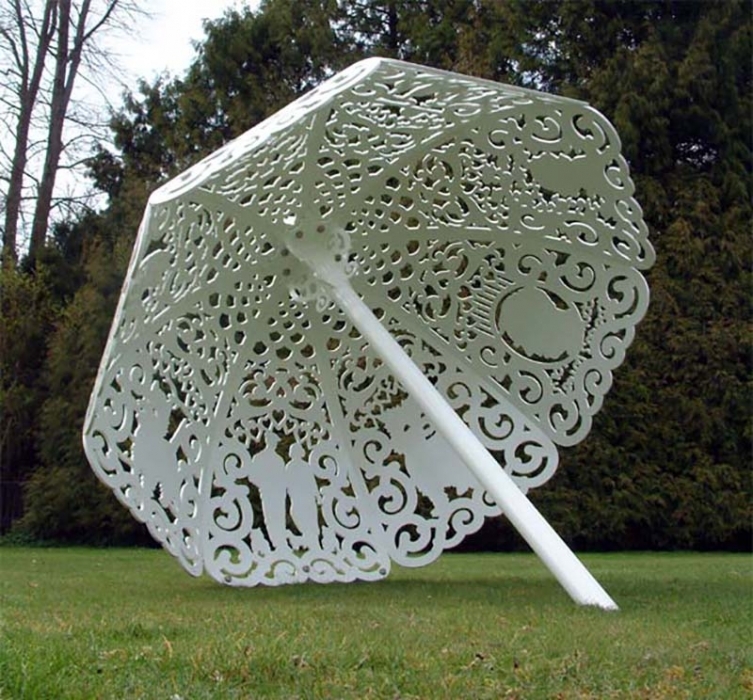 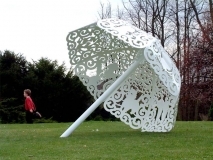 Stories of love in a steel parasol. 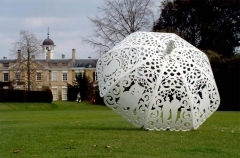 Commissioned by Surrey County Arts and Spelthorne Borough Council.